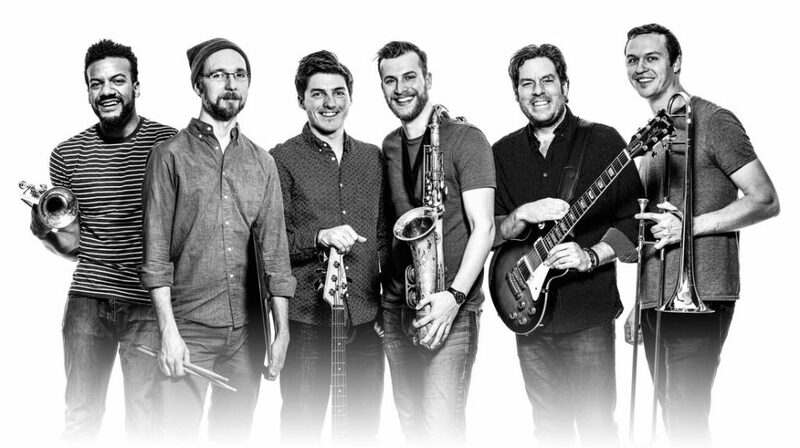 The Huntertones are a high energy horn driven band founded in Columbus, OH and currently based in Brooklyn, NY. Led by Dan White (saxophones), Chris Ott (trombone/beatbox), and Jon Lampley (trumpet/ sousaphone), the Huntertones are a horn section that isn’t content to simply accent the music. Instead, they’ve melded the ethos and swagger of a New Orleans second-line band to the sophistication of a great jazz orchestra for a signature sound that resonates with all types of audiences. CLINIC: The Huntertones will bring their expertise to Jazz In June’s clinic titled “Brass Tactics”, where they will illustrate the mechanics behind a harmonious horn section. Saturday, June 16th from 2-3:30pm.